The malaria community has made great strides in reducing morbidity and mortality in recent years – with World Health Organization reports noting that there has been a 37% global decrease in malaria incidence and a 60% global decrease in malaria deaths between 2000 and 2015. Improvements in malaria case management – including prompt care-seeking, testing and treating – have contributed to these declines, with health promotion campaigns helping to increase knowledge, attitudes, and behaviors around testing before treating, demanding artemisinin-combination therapy as the first line treatment, and taking the full dose of treatment. However, many still die from malaria. Unfortunately, the widespread presence of substandard, spurious, falsified, falsely-labeled, and counterfeit – or SSFFC – malaria medicines threatens this progress. The presence of poor quality medicine not only causes undue harm because it cannot effectively treat malaria, but it also negatively influences consumer behavior, wastes individual and national financial resources, and contributes to artemisinin resistance. The CDC states that counterfeit (fake) and substandard antimalarial drugs may contain no active ingredients, less than the required amount of active ingredients, or ingredients not described on the package label. Manufacturers of counterfeit drugs tend to copy more expensive brands of drugs and make them look like brand-name drugs. They may also repackage expired products and substitute a later expiration date, or they may package another drug or alternative substance as if it were an active product. Substandard drugs are made by manufacturers trying to avoid costly quality control and good manufacturing practices; these can result from deliberate or unintended lapses in the manufacturing process. These medicines may have too little or too much of the active ingredients and may not be absorbed properly by the body. If they are taken to treat an illness like malaria, they may be incompletely effective or altogether useless. A counterfeit or substandard treatment can prolong illness and increase the risk of severe disease or death. If substandard medicines are widely used, they can also select for drug-resistant parasites. One of the biggest challenges is the scale of the problem, as it could have serious implications on morbidity and mortality. To give some idea of the range of the problem, it is interesting to note that in June, 2015, Interpol coordinated a crackdown on counterfeit drug merchants during which 20.7 million fake drugs were seized. The British think-tank, International Policy Network, estimates that globally, 700,000 deaths a year are caused by fake malaria and tuberculosis drugs. Most importantly, experts estimate that poor quality malaria medicines may be associated with 122,350 deaths of children under 5 years old in sub-Saharan Africa (according to a study of 2013 data in 39 countries). While there are a number of stakeholders working on these issues – ranging from regulation, medicine quality assurance and surveillance, and law enforcement – there have been few strategically-designed and evaluated programs that use social and behavior change communication (SBCC) to improve demand for quality malaria medicines and and influence behaviors around medicine buying, selling, and use. Since no country is left unsusceptible to this problem, it is critical that SBCC practitioners come together with these nontraditional partners to intensify efforts to inform medical professionals, regulators, and the general public about the danger of purchasing SSFFC malaria medication for themselves and their families, and the steps that they can take to protect themselves. The malaria community has come a long way – health practitioners must be thoughtful in the way that they discuss SSFFC malaria medicine, so as not to create alter healthcare-seeking behaviors by creating distrust of the effective medicine. This Trending Topic offers some tools and examples to help support program managers and local stakeholders develop effective SBCC strategies that contribute to this effort. The WHO Global Malaria Programme’s T3: Test. Treat. Track. This infographic highlights some key facts about the global prevalence and impact of poor quality medicines, and also features case studies and recommendations for relevant stakeholders. It includes facts, case studies, and recommendations. This is an open access e-learning platform to illustrate the problem of fake medicines and how this crime is being addressed globally. This toolkit is designed to assist dentists, nurses, pharmacists and physicians to tackle counterfeit medicines in their daily practice. 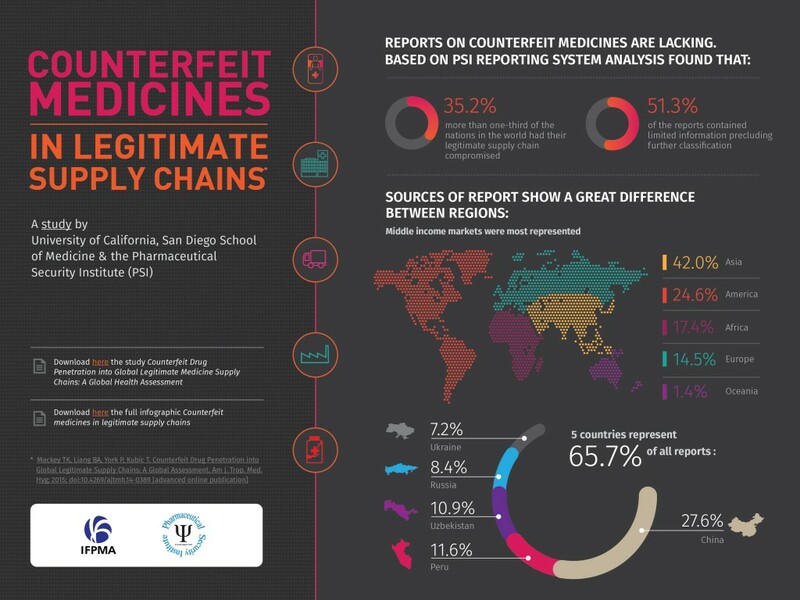 This infographic provides background information about the geographic extent of the problem of counterfeit medicines in legitimate supply chains. This webpage provides links to the two documents that antimalarial medicine procurement should be based on: the WHO guidelines for treatment of malaria and the WHO model list of essential medicines. It also contains more information on the WHO Prequalification Program, as well as recommended procurement practices. Is it legal to buy medicines online in my country? Is there a label that authenticates legitimate online pharmacies? When buying medicines on the internet, can I speak with a pharmacist? This animated video, available in English, French, Portuguese and Japanese, explains how counterfeit medications can look exactly like legitimate medication and how the public can easily be fooled in purchcasing medication that will not work and may even harm. or kill, patients.